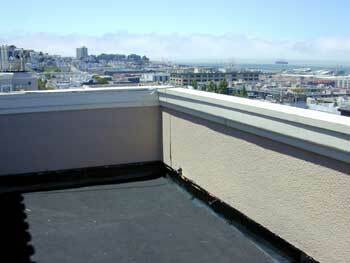 This beautiful condominium complex overlooking the San Francisco Bay has contracted with Everest Waterproofing & Restoration to waterproof planters and leaking decks. 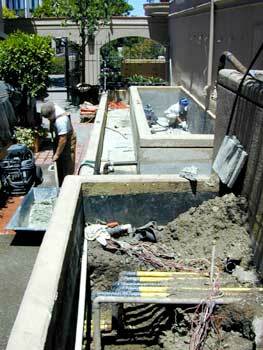 To fix the planters we have completely excavated the soil and plants, cleaned and scarified the substrate, installed both sheet and liquid membranes, and engineered and designed new drain and irrigation systems. All this done with minimum inconvenience to the homeowners... and we put the old plants back!!! The deck repair involved a similar waterproofing process - but had to be completed for a big July 4th fireworks bash. Everest delighted the owner by bringing in the project on time.